Batgirl #16 concludes Gail Simone's contribution to the Death of the Family storyline and it is every bit as eerie and disturbing as we could have hoped for. 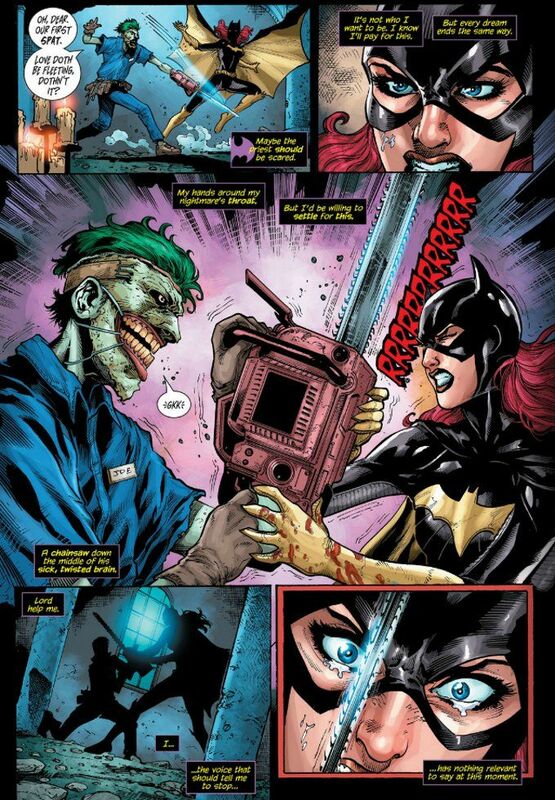 With her mother's life placed in danger, Barbara Gordon has little choice but to play along with The Joker's latest sick scheme. A scheme which, for some reason, requires her to marry him! Simone's script is full of psychological torment, as Barbara finds herself pushed to her limits and beyond. 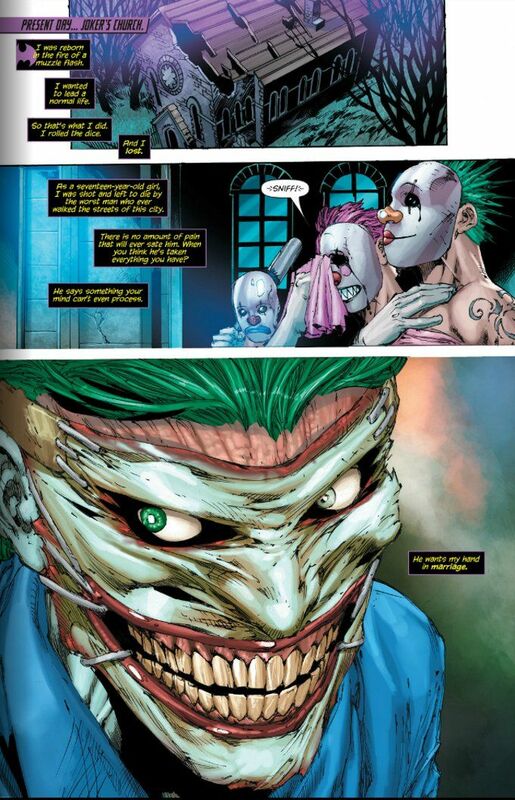 An opening flashback (with a cameo by Dr. Andrea Letamendi of the wonderful Under The Mask blog) sets the stage, showcasing Barbara's understandable anger at The Joker for what he did to her. The theme continues into the later part of the book, as Barbara is given a chance to act upon her anger and does not freeze up. Indeed, she finds herself with no reason at all to hold back and is oddly unfrightened by this! The art in this issue is all-around amazing. Indeed, if I hadn't looked at the credits page to see that this book had two separate art teams, I never would have guessed it! Ed Benes pencils and inks the first half of the book with his usual skill and an amazing (for him) lack of fan-service. The team of penciler David Sampere and inker Vincent Cifuentes close the book out with equal skill. I have nothing else I can say about this book, save it is great. Just look at the sample scans above (I included one from each team) and I think you'll agree Batgirl is one of the best-looking books on the market as well as one of the best written. Batgirl is a must read for all fans of quality comics!